One thing I hate about the Fourth Estate, and our culture in general, is the very short attention span that traps us in the present. No one remembers anything. Everything is now, now, now. There is no follow-up: stories aren’t developed so much as they are announced, and then shoved down the Memory Hole. The result is that the general public, as well as the media, is suffering from a collective form of Alzheimer’s. Ah, but here at Antiwar.com we live by a different standard, one that recalls the old-fashioned reportorial style of the sixties and seventies, long before the conflation of news and what passes for entertainment these days. We’re doing some follow-up today, on a story that I covered here, here, and here, which is among the most bizarre in recent memory: the Yushchenko poisoning mystery. Viktor Yushchenko, you’ll remember, was the young handsome investment banker and politician who led Ukraine’s "Orange Revolution," the most successful and dramatic of several "color revolutions" inspired and often funded by the US government as part of an effort to encircle Putin’s Russia. Yushchenko was portrayed as a hero and quasi-libertarian free-market type. His Russian-backed rival, Viktor Yanukovich, was depicted as the latter-day equivalent of Josef Stalin. As the election campaign reached a crescendo of activity and international interest, Yushchenko fell victim to a mysterious illness. His formerly handsome face was covered with lesions and unsightly bumps, and he seemed to have been permanently scarred. Yushchneko claimed he had been poisoned by his nefarious opponents, and the Western media went with his story almost without asking any questions. The media narrative at the time was staunchly behind the poisoning theory, with the clear addendum that the Kremlin was responsible, if not Putin personally then some "rogue" element of the FSB, which was routinely referred to by its old acronym: KGB. There were all sort of indications, however, including testimony from Dr. Lothar Wicke  at the time chief medical doctor at the Rudolfinerhaus clinic, where Yushcenko was treated  that pointed to a rather more complicated if less dramatic diagnosis: pancreatitis, brought on by alcohol abuse. Wicke’s public statements disputing the official diagnosis provoked the ire of Yushchenko’s supporters, threats were made, and Wicke had to be provided with police protection. "The Yushchenko story is a textbook example of news management, neocon-style: of how the conventional wisdom is created out of very few real facts, and contrary views are kept out of the debate. Instead of questioning the logic of Yushchenko’s insistence that he was poisoned by supporters of Yanukovich, and raising alternate explanations, we were supposed to simply echo the politically correct version of the story. Instead of wondering why anyone would use dioxin  a substance that has never been known to kill a single person  in an assassination attempt, we were supposed to just keep quiet, accept the conventional wisdom, and come up with catchy headlines like: Pro-Western Bearer of Democracy’ Martyred by Commie Rats. has barely begun to unfold, and we will cover [the story] in these pages, no matter where it goes. What seems clear at this point, however, is that what everyone knew”‘ to be true  the “poisoned soup” story pushed by Yushchenko and his Western supporters  is definitely not true, and I’m proud to say that we at Antiwar.com were not taken in for a single moment." "Zhvania cast doubt over the validity of dioxin-poisoning tests done years ago that suggested Yushchenko was poisoned. 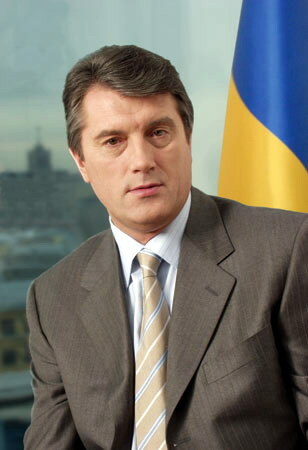 Zhvania insisted that Yushchenko was first diagnosed as suffering the effects of pancreatitis, herpes and facial nerve inflammation.. Zhvania said the dinner-poisoning scenario emerged from discussions in Yushchenko’s headquarters after the then-presidential candidate fell ill. Zhvania was present at the dinner in question which took place at Satsyuk’s dacha, but insists Yushchenko was not poisoned there." "It was common food poisoning. The diagnosis was made the first day. These kinds of poisonings happen a lot, to every third person in the world. It was a stomach infection. On the day that he went to the doctor, they all came to this same conclusion. I was there. Then they decided that he should fly to Austria [for medical care]. I was opposed … because the proposed clinic had nothing to do with stomach infections. It was a cardiologic center." According to Zhvania, "all subsequent tests showing that Yushchchenko had been poisoned by dioxide were falsified and that the Orange campaign team had thought up the poisoning version for political gain." He also relates that, prior to the dinner where Yushchenko was allegedly poisoned  also attended by Ihor Smeshko, at the time head of the SBU, Ukraine’s security service  the candidate "had partaken in an earlier meal just before the Smeshko visit, and before that had stopped off at the home of a completely unknown tinkerer where the president downed no small quantity of moonshine." I don’t know what kind of moonshine the Western media was imbibing when they swallowed the Yushchenko-was-poisoned-by-evil-commies narrative, but the sort bottled by the US government is pretty strong stuff  and a media that has lately been reduced to transcribing government press releases and calling it "news" is particularly vulnerable to rapid inebriation. Which is precisely the reason for Antiwar.com  we’re here to fact-check the reams of propaganda that are daily churned out by official and unofficial outlets, whether it be a statement by some government agency, or a "news" story prominently placed on the front page of the New York Times. That it is often difficult to distinguish the two is a depressing sign of the age we live in  but all is not lost. As long as we have Antiwar.com checking the real facts, and looking behind the headlines, there’s hope that the truth will not only come out but will be widely known.